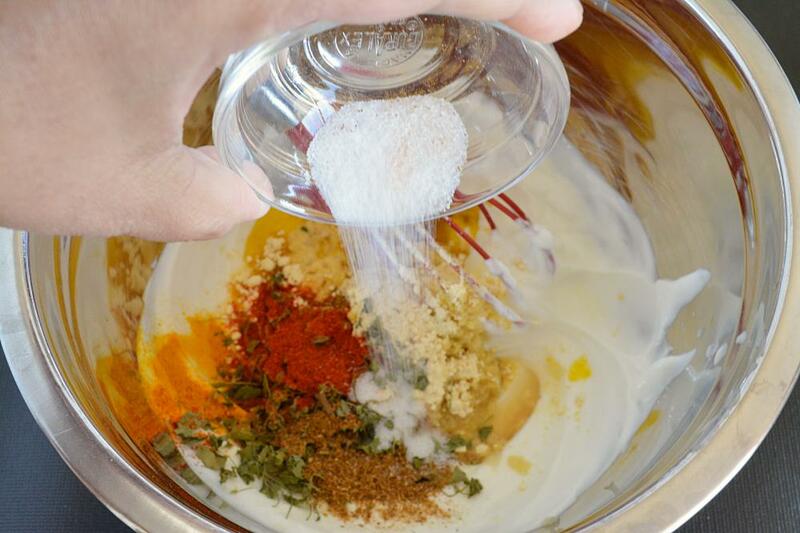 RECIPE DETAIL – Recipe breaks down in two parts – first a paste of mint-cilantro leaves along with cream is prepared. Secondly, assemble rest of the ingredients and marinate chicken cubes in it. For tenderizing the meat I have used lemon juice. Leave the marinade for 2-3 hours or overnight. Meanwhile soak some bamboo skewers in water for 30 minute or an hour. 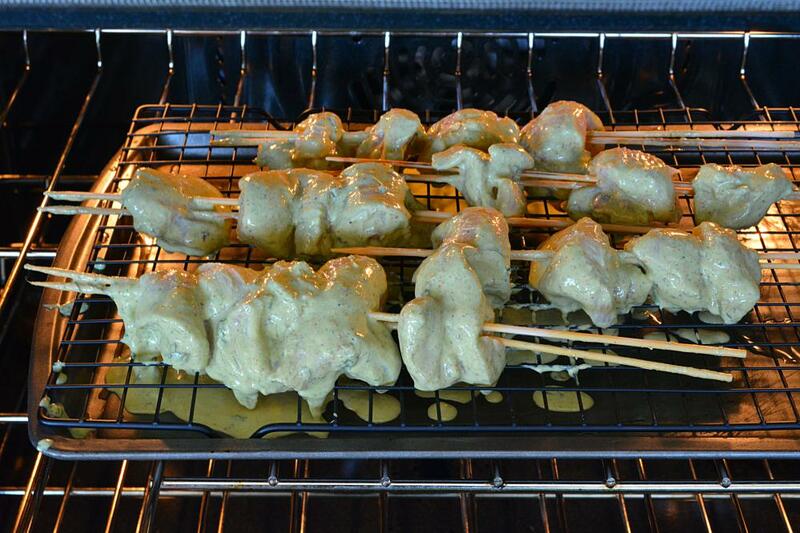 When the marination time is over, thread the chicken cubes through the skewers and grill them for 15 – 20 minutes. Remove kebabs from the oven. 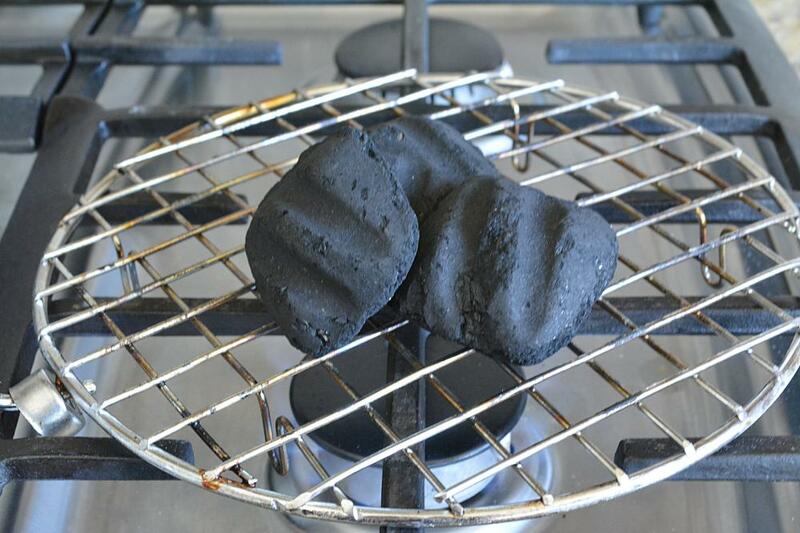 They should be soft and tender on the inside and beautifully charred on the outside. If you choose to give your kebabs a smoky flavor (dhungar method) then follow the step by step process below. I have used dhungar method in dal tadka and Chicken seekh kebab recipe. 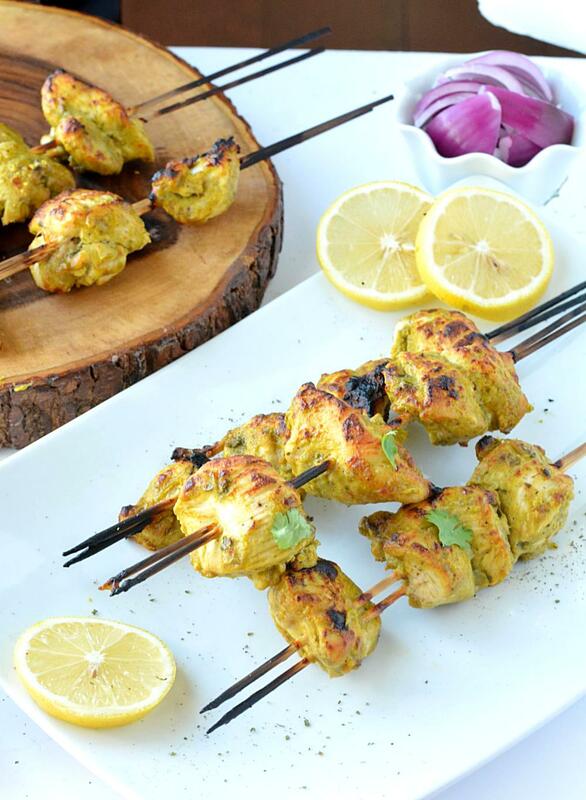 These kebabs are practically healthy, oil free and prepared with just the right amount of spices. Drizzle some lime juice, sprinkle some chaat masala, garnish with cilantro leaves and enjoy these yummy kebabs with chutney of your choice. 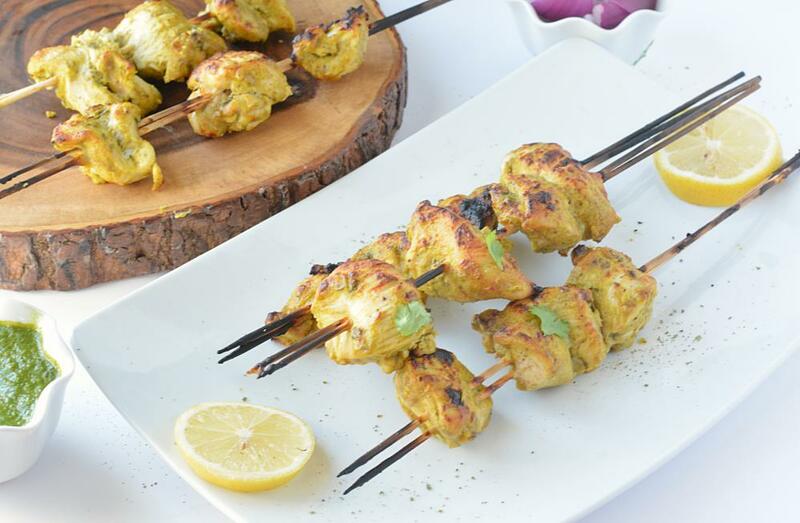 Succulent chicken kebabs marinated in mint, yogurt and spices is a complete crowd pleaser recipe. 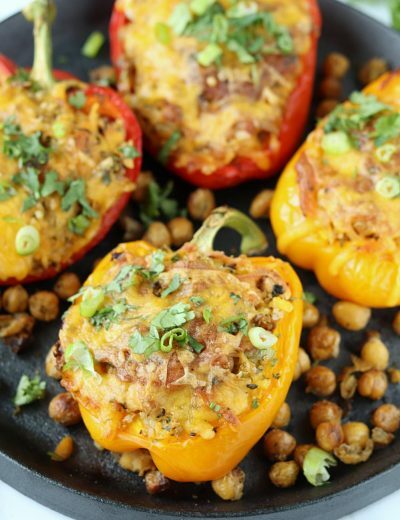 A perfect appetizer for any party. Clean and wash Chicken. Cut into cubes. Set it aside. Wash cilantro and mint leaves. Toss them in a mixer along with cream and grind them to a fine paste. Set it aside. Meanwhile assemble ingredients for second marinade. In a bowl whisk curd, ginger garlic paste and mustard oil. Add rest of the ingredients one by one. 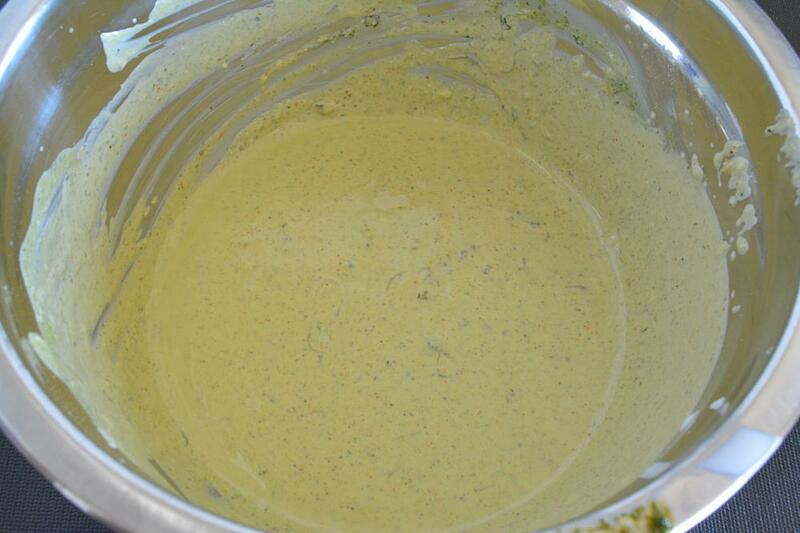 Mix in cilantro- mint-cream paste that we grounded earlier. Mix until well blended. Taste and adjust seasonings. And coat them well with the marinade. Cover and keep it in the fridge for 2-3 hours or may be longer. 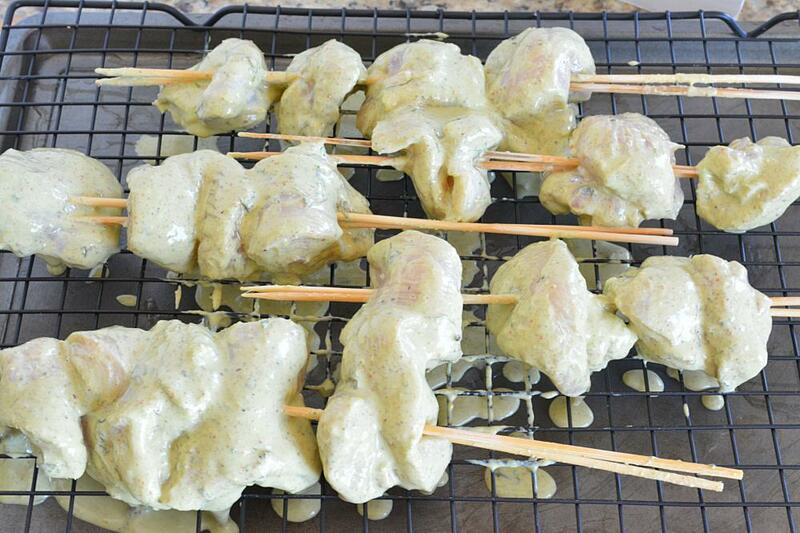 Dip skewers in water for 30 minutes or an hour. Preheat oven @ 400 degree F.
Place it in the heated oven. Grill at 400 degree for 15 - 20 minutes or until chicken is done. Add 1 teaspoon ghee on top of the hot charcoal.. 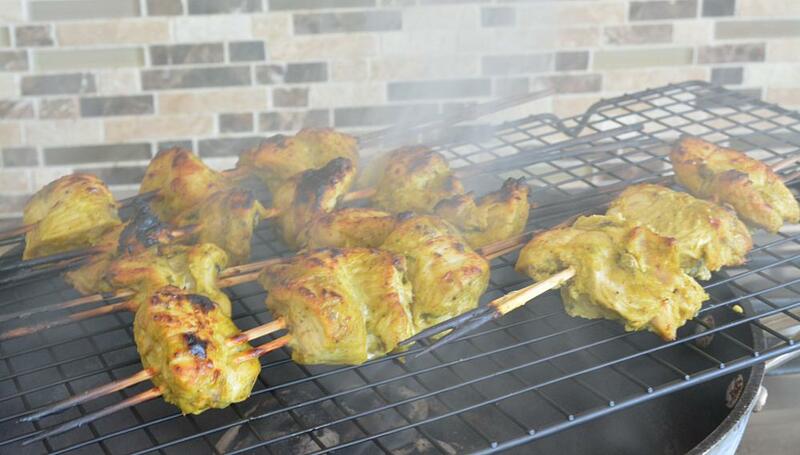 Arrange chicken kebab on a wire rack and place it on the smoky kadai. Cover and let chicken sit in smoke for 4-5 minutes. Remove and arrange it on a platter. 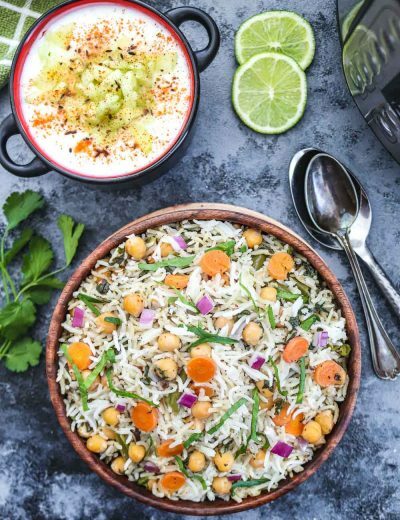 You can sprinkle some chaat masala on top and..
Drizzle some lime juice, garnish with cilantro leaves and enjoy these yummy kebabs with chutney of your choice. Nice recipe, what is the cream that you mentioned? Usually when I made it before, it would come out hard and not soft juicy like restuarants. 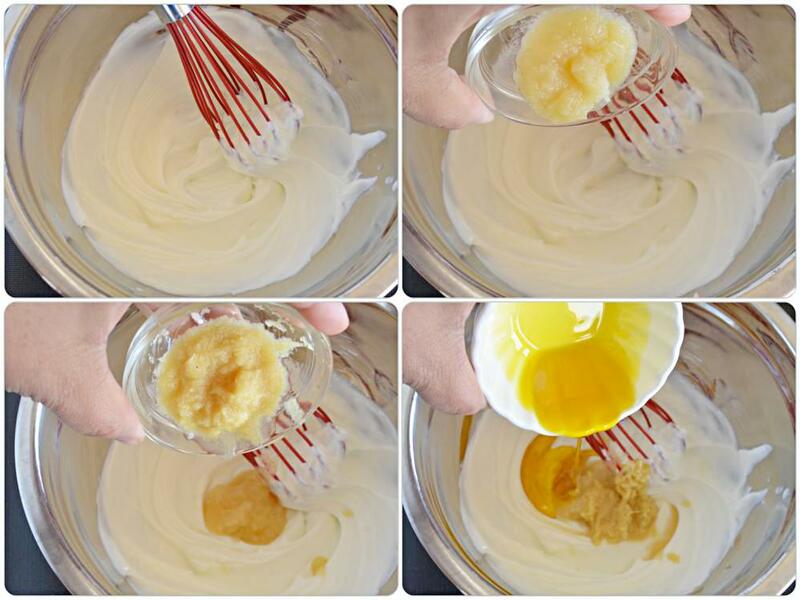 You can use either homemade fresh cream or store bought thick cream. 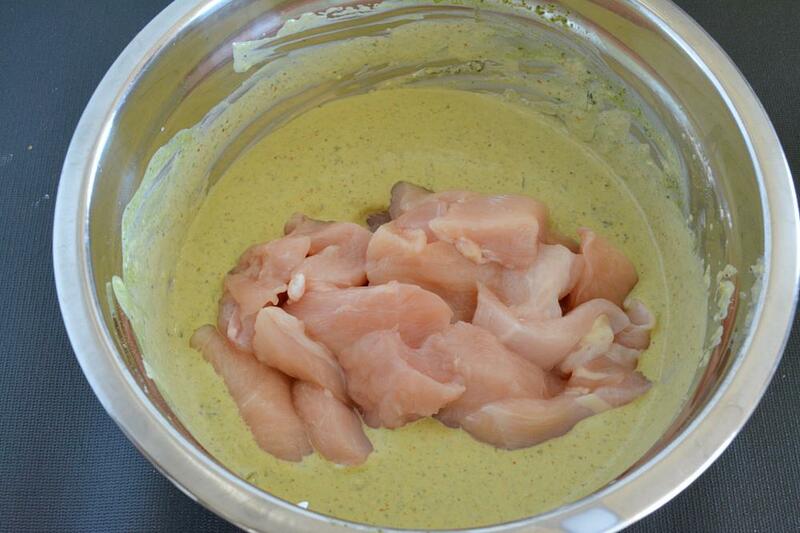 For juicy chicken – don’t bake it for long as it dries out and turns hard. 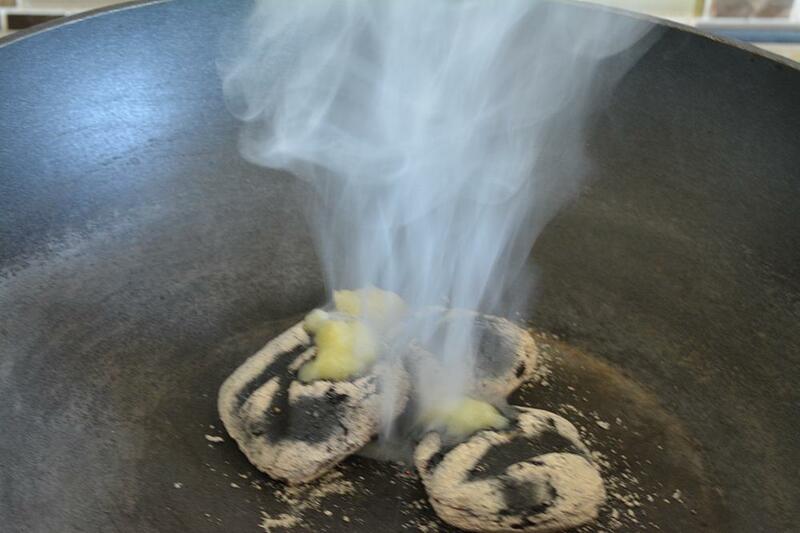 Will the tandoor smell come from the kebabs after the smoke infusion? Please reply….Want to give it a try. Yes. They will smell just like tandoor cooked kebabs. 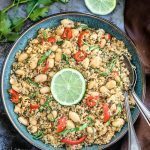 hi ruchi, i tried this recipe … came out perfect …. 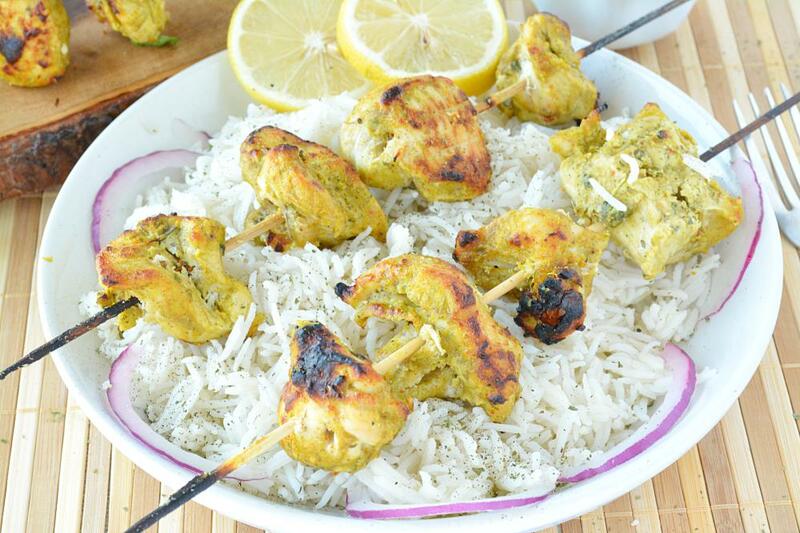 i had one question… can i use any other oil or only mustard oil will …..ofcourse i did use mustard oil for the first time whn i made this kebab … thanks for your reply ….regards marina.. tk care .. Thanks Marina for trying the recipe and sharing your experience with me. 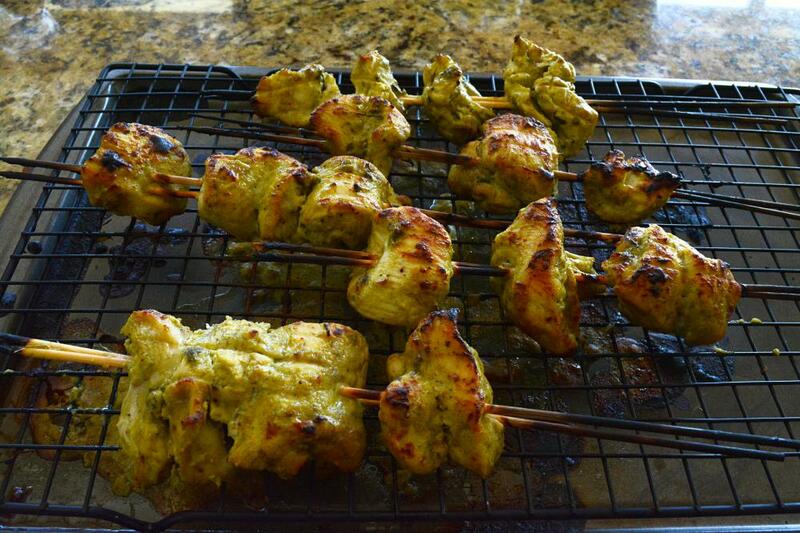 Mustard oil adds heat and a different kind of flavor to the kebabs. But feel free to substitute mustard oil with ghee. Hi, tried and came perfect. My family loved it. Tried your tadka dal and was a restaurant style dinner at my place. Keep them coming.